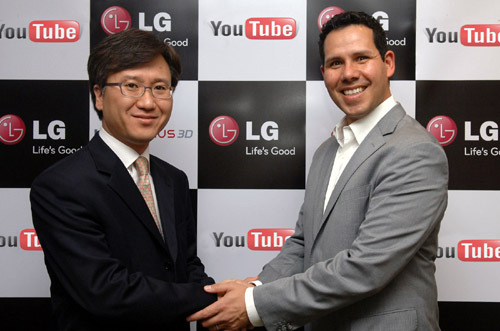 This morning LG announced it is to partner with Google-owned video service YouTube to deliver a unique 3D mobile experience to users, starting with the new LG Optimus 3D Android smartphone, due to launch at Mobile World Congress. LG’s upcoming Android-powered smartphones will be able to capture 3D content and deliver them without glasses and its partnership with YouTube will ensure that users will be able to upload and share them instantly using the video service. LG will demonstrate the new Optimus 3D smartphone at its stand at Mobile World Congress, it officially confirmed the device soon after it began to leak to numerous blogs. The handset itself will be powered by a dual-core Tegra 2 processor and will feature simultaneous dual-channel and dual-memory. It will be the first handset to offer the YouTube 3D experience and will start shipping in the second quarter of 2011.